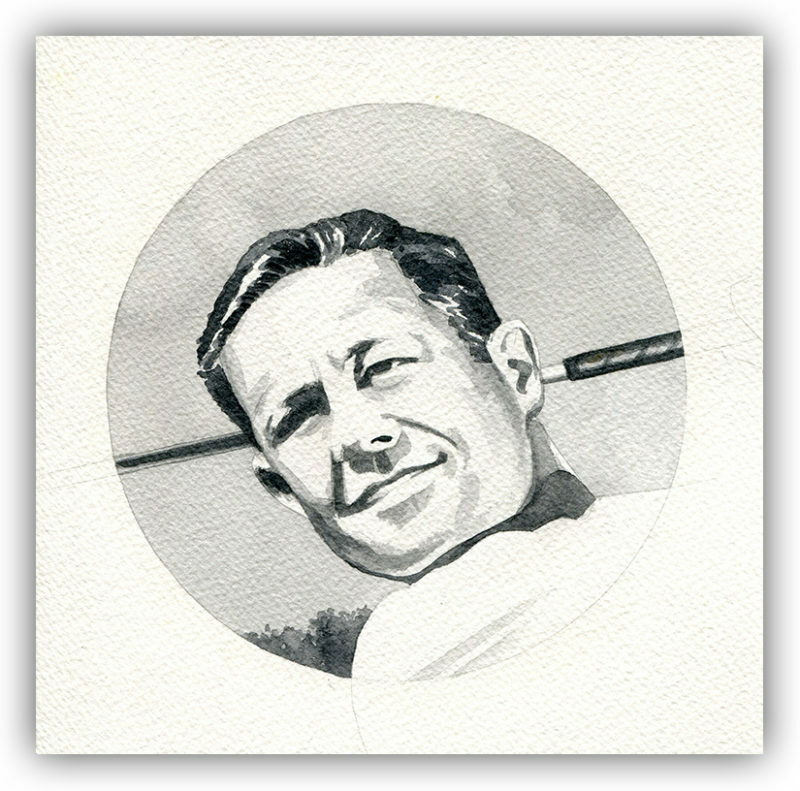 A sunny portrait of “Lord Byron” Nelson, painted for the 2008 Houston Open poster. Byron Nelson is generally regarded as one of the finest men to ever play the game and his record on the course supports the claim. The gentleman rancher from Texas famously retired at his peak, not long after his unmatched season of 1945 in which he won 11 tournaments in a row.